Which is more desirable in these automatic transmission or manual? Pretty clean looking Jeep, for the age. 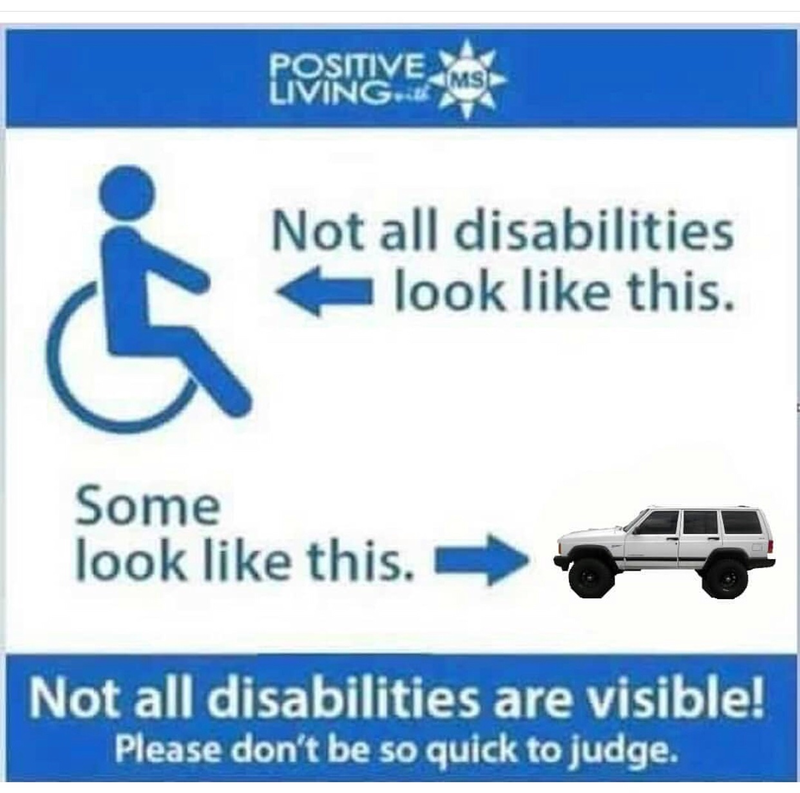 I just don't like the JK's and wranglers in general, but I have always loved those cherokees and have owned two grand cherokees with the 4.0 engine in them, one with like 200K+ and runnin like a top! But frankly, considering my age and how I take care of things mechanically (good!) if I bought one, I'd drive it forever, no matter the mileage. Like jets, I'd just keep replacing parts and keep it running. So yea, I want one, and another for the pre-ranger. BUY THE GREEN ONE. Sub 32" you'll never break an axle or damage diffs unless you're pulling out heavier vehicles in reverse and uphill. Reverse dana 30 high pinion w/ better ground clearance runs on the drive side of the ring gear teeth, 40%+ stronger than 1999+ w/ standard rotation, low pinion front diff. 8.25chy rear = mo betta butta than the m35. M35-7.562" w/ 8 ring gear bolts, 27 spline axles. 8.25chy is well, 8.25", 10 bolts, 29 spline axles. Manual is great asin/warner ax15, close ratio trans, good crawling gears. Autos are fine too, not overly complicated like the Grand Cherokees. if it doesn't already have one, get a slip yoke eliminator kit for the rear driveshaft and call it a day. OK, I'll go look at the green one...TODAY! Can someone tell tate to type in English for the rest of us hillbillies!! Green one = Don painting a star on front doors in pearl white to keep the theme going! "I find your lack of faith, disturbing." OK, am talking to a very nice owner of the green one. See if I can make something happen. Meanwhile, while in Cincy today, McClusky Chevrolet had a 2001 Black XJ for sale, $7995 with 32,000 miles! 32,000 miles my second left foot! Underneath, it had four new shocks. The straps holding the rear U-joint were new (recently replaced, as was the U-joint itself. The pinion seal was leaking, it was covered with rust and the driveshaft looked as if it may well rust in half. Up front rust everywhere and both front doors were rusted through. The paint was awful, like just remove it, no chance of repairing it. THe trans was a solid cake of grease as was the bottom of the engine. 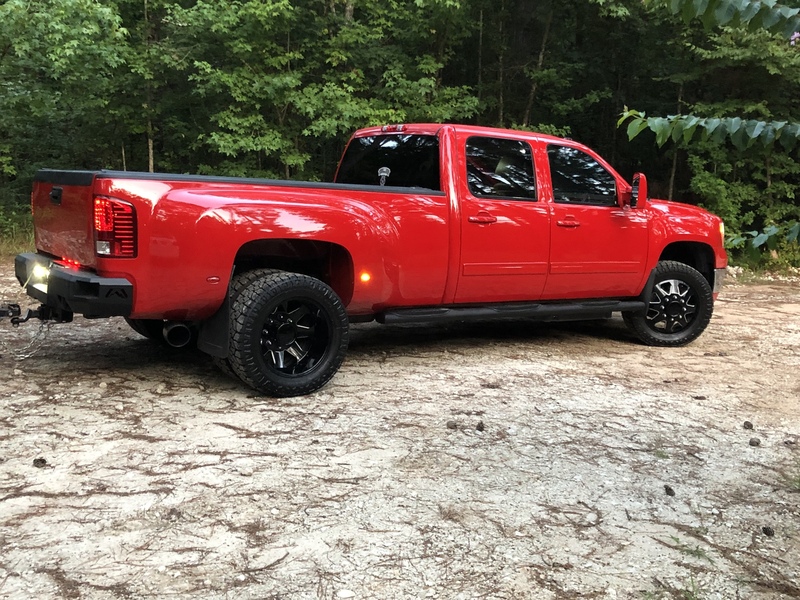 Pics of the 3/4 ton? You complain about parking a CC/SB duramax? Yea, I feel for ya! just need to get the windshield replaced so I can seriously start trying to sell it. When I pulled it out of the shop Monday to drive home it looked goooooood! That thing looks good man...and I don't even like red. I thought maybe I missed a new toy while I was gone. Just missed the discussion. My boys like these things, good info on the years. Hey Don, take a look thru the LA ads for what your looking for, some are pretty clean I plan on making a trip back that way soon. Lots of clean ones out here. 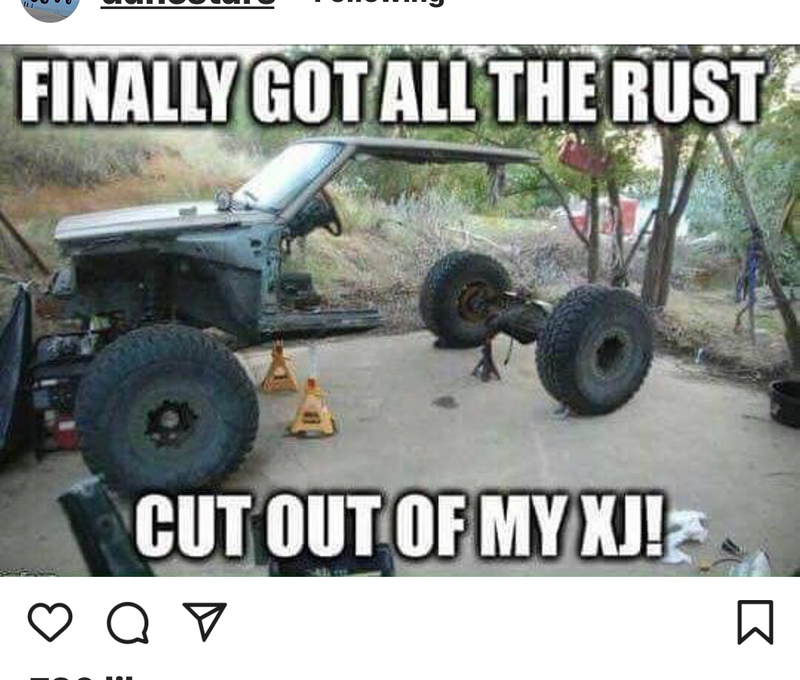 Could one of these possibly be the Jeep that Don buys? As long as you get to change the fluid, all is good. The blue "freedom model is likely a no-go. Has a rust hole in a passenger door, but no other "Big" rust. The "Frameish" stuff is OK, but the rear hitch, spring perches and that area are rusted fairly good. They have an offer on it for $4800, so I will not approach that number for that truck. I am waiting back from the owner of the other, "stored", one to see when I can drive down and look at it. ^^^He doesn't need your help!! Given your list Don, just purchase some square and round tube and start welding....you can purchase body panels cheaper than your current plan! I didn’t think he would, which is why I was confused and posted it. That list looks very similar to another on this forum what was it called? I honestly think that was the plan for that other thing, did it get lost in weeds or did the HOA take it from him? If I remember, I’ll post up a picture of it when I pass it on Friday. I saw it yesterday, still holding the line(in the parking lot that is).